x(eptional was invited to coöperate in a crossover project called "crosslinx". Together with arranger Willem Friede (New Cool Collective) we created a special live set in which a various parts were played by the Asko Ensemble. 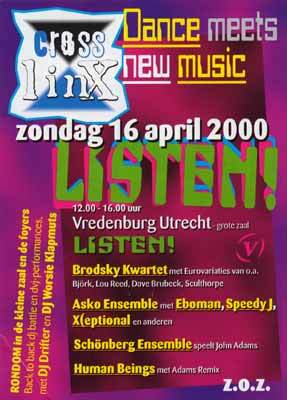 This set was played on the 15th of august at the Muziekcentrum in Enschede, and the next day at Vredenburg, Utrecht. 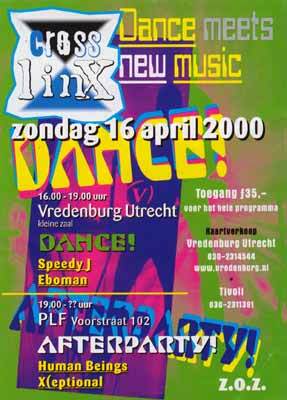 Later that evening we played a regular live-set in a small venue called PLF, also in Utrecht.